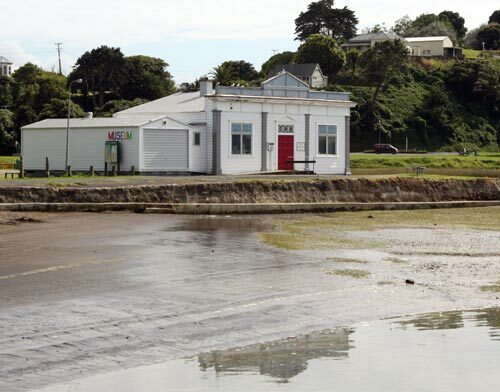 The Kāwhia Museum, sitting on reclaimed land at the water's edge, is housed in the former Kāwhia County Council chambers, which were built in 1916. The museum's collections focus on the history of Kāwhia, Māori carvings from the Tainui people, and fossils found in the area. Between Labour weekend and Easter the museum doubles as the town's visitor centre.